Default layout with all the needed corporate elements. It can be used as one page or as homepage for corporate website. 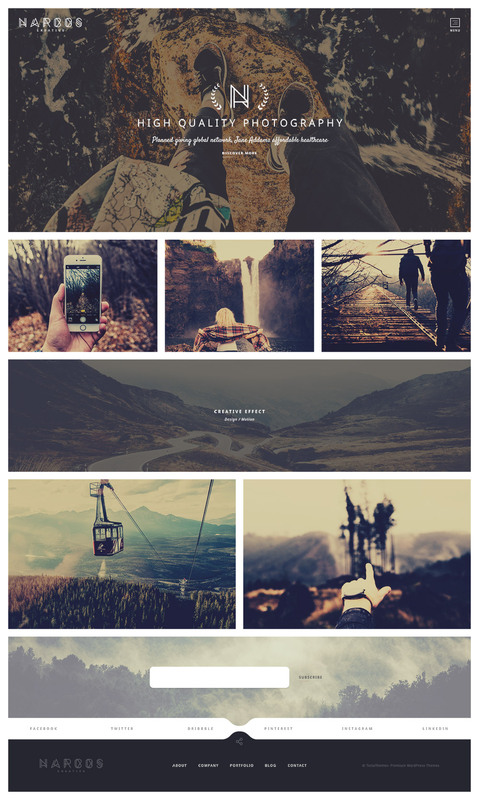 Custom made Slider, short about, features, video background, team, potfolio, testimonials, blog, subscribe, footer. Full width portfolio home page that can be your homepage or to present your works. In any case, it'll definitely capture attention. Shop homepage with most popular products like recent and sale products, shopping categories. Advertising banners with recent discounts. Homepage with video in backgound that allows you to put your favorite video from youtube to play on your website. Ready to build websites with this theme ?